At the end of the Meeting in the Vatican, called by Pope Francis, on the abuse of minors by members of the clergy, Monsignor Fernando Ramos, Secretary General of the Episcopal Conference of Chile, gave an exclusive interview to Zenit last Sunday, February 24, 2019. “From faith, we see here an action of evil,” affirmed the Chilean Bishop, recalling the words of the Holy Father, at the closing of the Meeting, after the celebration of Holy Mass. “It’s Satan who rages against the weakest. We can’t lose sight of that it’s <part of> our faith. Even if there is a series of human mediations, this isn’t to avoid or take away responsibility for the crime that concrete persons commit,” said Bishop Ramos. The Meeting on the Protection of Minors in the Church was held in Rome from February 21-24, 2019. It gathered 190 representatives of the Catholic Church — 114 Presidents of Episcopal Conferences — for three days of prayer, victims’ testimonies, papers and group work; a penitential liturgy with Confession of sins, which was presided over by Pope Francis, who also closed the Meeting with a Mass. 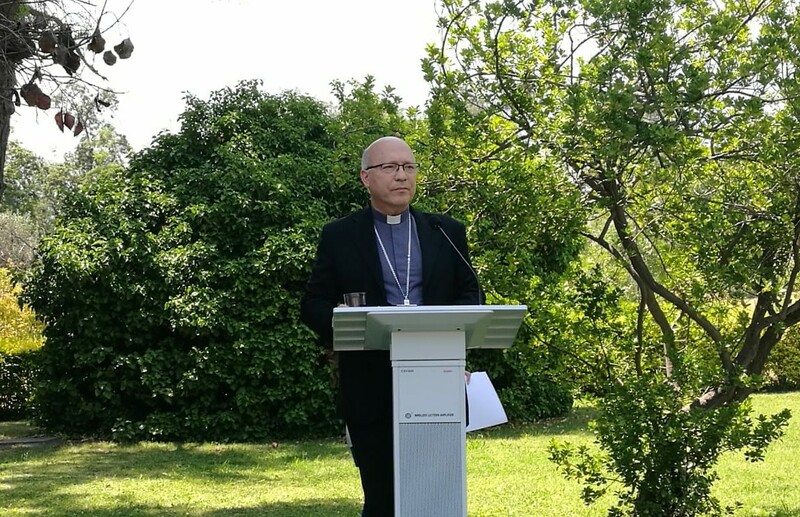 Monsignor Ramos, Secretary General of the Episcopal Conference of Chile and Apostolic Administrator of Rancagua, shared with Zenit Agency his impressions on this historic summit in the Catholic Church. ZENIT: How have you lived the Meeting? Monsignor Ramos: I would say it was very overwhelming, very important and very interesting. Overwhelming because it was very appropriate of the organizers to leave room for victims’ testimonies. So, at the beginning we had the testimony of five victims but afterwards, at the time of the afternoon prayer on Thursday, then Friday and in the penitential liturgy as many more. Each one was very shattering, but one in particular, the one that overwhelmed me most, and I believe everyone, was that of a lady. She read it with a broken voice with a simplicity and humility, which pierced our soul. We were all very, very impressed. That’s why it was overwhelming. We were able to be on the same wavelength, with much respect for the pain of each of the victims and, in such a large assembly, to realize the devastating ravages that sexual abuse causes in people, which will stay with them for the rest of their lives. Interesting, because I believe we touched on many subjects; it’s true that there was a conference and then work in groups. And in the work groups, questions, suggestions, proposals exploded . . .this type of work was very abundant. It’s important because this will help us to take another step. These changes don’t happen from one day to the next; as the Church is universal, there are many institutions, many people, so that to be able to reach all with the same intensity … requires time as well as the implementation of things; however, I think this marks an important milestone. ZENIT: What structure was followed in the work groups and what has been done concretely? Monsignor Ramos: In the mornings, there were two papers and then an hour of group work; another paper in the afternoon and another hour of group work, and then there was the work of the day. It was also presented in the afternoon, in four minutes, each team had to hand in a paper. The group work was divided into linguistic groups, there were two in Spanish and in my group, we were 15-18 participants. It seemed a bit short because one hour <was allocated> but there was much participation and there were basically suggestions stemming from the Pope’s 21 Points of Reflection, as well as papers. References were made <and> appreciations but also many questions or suggestions so that questions were answered. There were differences of perception of the problems, of the way to address them . . . Then there was conversation, much was proposed and afterwards the conclusions and questions were handed in <as well as> suggestions to the Commission. Henceforth, the Commission will have to try to synthesize it. ZENIT: What is the vademecum? Monsignor Ramos: This idea arose in the last briefing that a vademecum would be handed to Bishops. That was very well received because a leap was made. One of the more positive things of this Meeting is that it enabled us to try to speak in a common language, a common style . . . The vademecum will be a guide with directions on how Bishops must act in face of these problems. We don’t know well what scope it will have or its accuracy but, clearly, there is an appeal of the Bishops that we be given clearer lines to be able to address the issues. ZENIT: What is the protocol a priest must follow when he learns of a case of sexual abuse? Monsignor Ramos: What he must do — for the person that is a victim who is pointing to a possible situation of abuse — is denounce it to the specific organisms that the Church has in all the dioceses and in all Religious Communities. On the other hand, one is invited to present the complaint to the respective Public Prosecutor’s Office, in the public Ministry, or to the Police, so that justice is present and these situations are investigated. Once the complaint has been made in the Church, a protocol is followed where the respective authority must be informed of the complaint that has been received, and if there is a grain of truth in it, a previous investigation must be initiated, that is, a person must investigate the victim, must mention the complainant, the accused . . .and once this previous investigation is concluded, he must answer the question about the plausibility of the accusation. If it is reliable and affects a minor, then of course it must be sent here, to the Congregation of the Doctrine of the Faith, which is the competent tribunal to decide on these sorts of issues. ZENIT: After all that has happened in Chile, what have the Bishops improved to prevent abuses in the Church? Monsignor Ramos: Indeed, in the group works I was asked several things about Chile. We don’t pretend, nor are we in conditions to teach anyone, but yes, we can tell them what our experience was, that we weren’t prepared to address something of this magnitude and, consequently, prepare yourselves to be able to address it, because in any case it’s going to happen to you. They asked me for some recommendations. One, concretely, is that since the year 2011 the Episcopal Conference has a National Commission for the Prevention of Abuses, in which lay men and women take part who have made a great contribution. And that Commission has prepared many elements that help the dioceses. Prevention is a very great and important chapter. Nevertheless, the problems we have had in Chile, we have taken “ant steps little by little,” working to prevent abuses and this Commission elaborated a program of formation in four modules. At present, there are 25,000 formed pastoral agents. We have tried to have — I’m unable to specify if we have achieved it in its totality — all the presbyters, all the priests formed, all the permanent deacons, and we want to reach the laymen’s pastoral agents. It’s an enormous effort. I don’t think it’s been done in any <other> diocese of the world, and it happened because there is a National Commission. We have now given that National Commission more attributions so that it can centralize the information at the national level. It’s very hard for us to get information of all kinds. So, we were able to take part in that area and comment on it. There are guidelines of 2015. And another important subject is that, last year, as a result of Scicluna’s visit, this Commission — or part of this Commission — was transformed into a Listening Commission; that experience was also good. So, I think we can cooperate a lot, to contribute, from our experience, to help in prevention and also, I believe, to gain experience on how to carry out the previous investigations, how to answer juridically in face of accusations of abuse. We still must learn more in regard to the care, listening and accompaniment of victims . . . That’s always difficult, because it depends on case to case, and we know that there are many victims in Chile who think that as Church we have not lived up to what is <expected of us>; we haven’t responded . . . There is anger, upset. That obviously responds to realities that are so. ZENIT: It has also been, spiritually a very important Meeting for the participants. On Saturday, February 23, there was a key moment: the penitential liturgy; the Confession of faults, repentance, the examination of conscience. How did you live it? Monsignor Ramos: Every day, at the beginning, we had a time of prayer; we are believers and the importance of the invocation of the Spirit on God’s Church in the mist of this Meeting, also encouraged us to create communion among ourselves and in the dialogue with the Lord, to ask what it is that we have to do; what things we haven’t done well. And another element, which the Pope stressed today in the allocution after the Mass, is that — from a believer’s reading –, at the base of these problems, which cause so much harm in minors, is evil itself. It’s Satan that rages against the weakest. 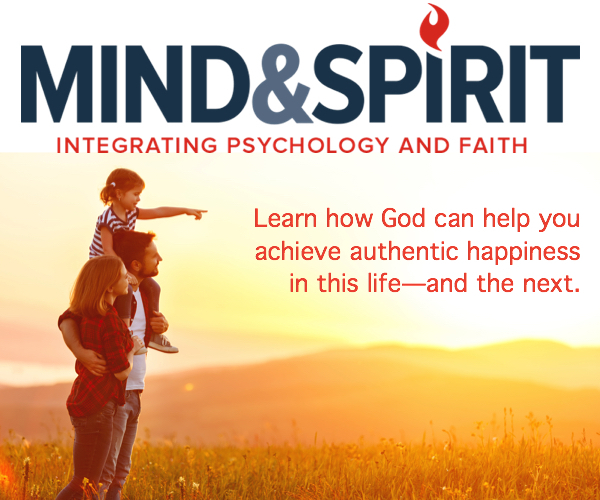 We can’t lose sight of that; it’s our faith, even if there is a series of human mediations. This isn’t to avoid or take away responsibility for the crime that concrete persons commit. From faith, we see that there is an action of evil here, and there is no doubt about that at all. ZENIT: On Saturday, a boy from Chile, who was a victim of sexual abuse, shared his testimony and then he met with the Pope. Monsignor Ramos: I didn’t know him. Then I learned he was Chilean. I didn’t even recognize his accent because he lives in Germany. Do you know what impressed me most? His testimony, which was very strong, no? However, he finished with a musical gift. That is, it’s as if saying, despite all that I lived to destroy my life, I’m able to give a beautiful gift. A sign of hope a Bach violin piece, that’s a wonderful gift. Some one who has lived that represents an enormous hope that evil must never be imposed not can it be imposed.